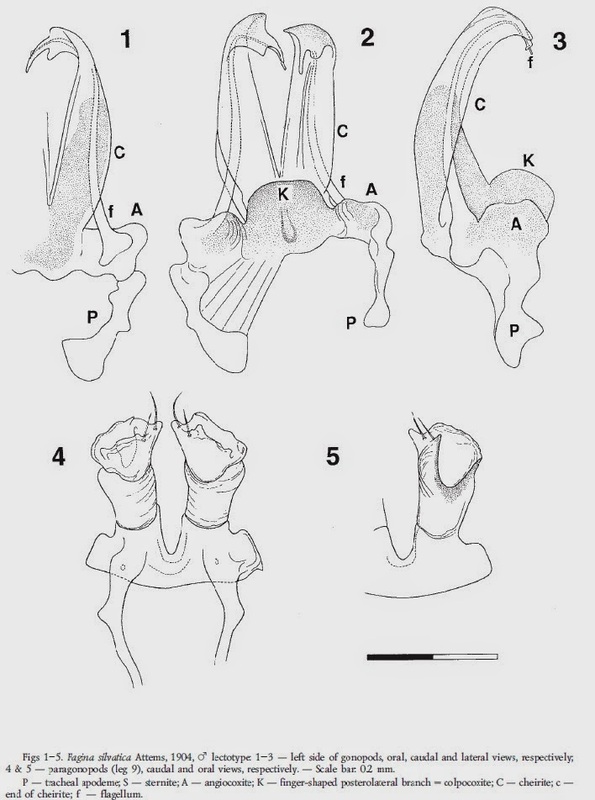 Gonopods of Fagina silvatica, from Mauriès (2003). 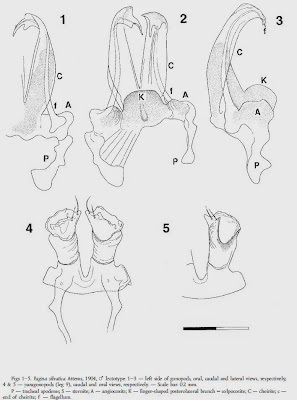 The Neoatractosomatoidea is a group of chordeumatidan millipedes found mostly in souther Europe, characterised by the males having flagella on the anterior gonopods only, with no flagella on the posterior gonopods (Mauriès 2003). See also: The importance of genitalia.